Does This Skyscraper Design Remind You of Beyoncé? 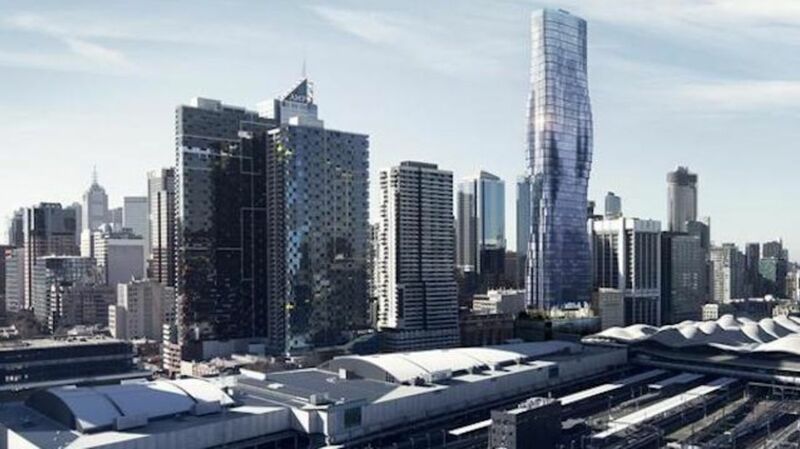 After Australian firm Elenberg Fraser won approval in May to design a forthcoming 68-story Melbourne skyscraper, they used state-of-the-art science and imaging technology to create plans for the building. They also drew on a rather unusual source for design inspiration: pop superstar Beyoncé. On their website, the firm wrote that the project "is the culmination of our significant research into how to best work with individual site and climatic constraints, brought together using our new parametric modelling techniques. The complex form—a vertical cantilever—is actually the most effective way to redistribute the building’s mass, giving the best results in terms of structural dispersion, frequency oscillation and wind requirements." But they're not denying there's a little Queen Bey to it as well: "For those more on the art than science side, we will reveal that the form does pay homage to something more aesthetic—we’re going to trust you’ve seen the music video for Beyoncé’s 'Ghost.'" The so-called Premier Tower will contain 660 apartments and a 160-room hotel inside the dips and swells of the outer walls in this collision of architecture and pop culture. So what do you think? Pretty close, right?